Who Was David Lloyd George? 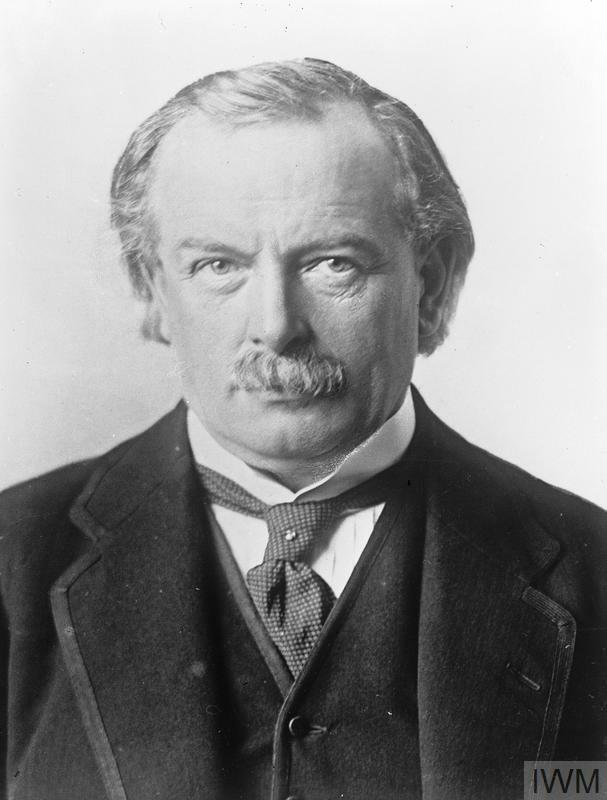 David Lloyd George was British Chancellor of the Exchequer during H H Asquith’s pre-war Liberal government. Following the outbreak of the First World War in August 1914, he displayed great competence as Chancellor but became disillusioned with Asquith's leadership. In May 1915, following the formation of the coalition government, Lloyd George was appointed head of the newly created Ministry of Munitions. His enterprise and appreciation of the importance of good labour relations eventually led to hugely improved armaments production. Politically ambitious, especially after becoming Secretary of State for War in June 1916, Lloyd George, with Conservative support, edged Asquith from power. He became Prime Minister in December 1916. Portrait of David Lloyd George. Lloyd George took a far more active role in strategy and repeatedly clashed with military and naval leaders. During 1917, he won the Admiralty over to the convoy system and was highly critical of Field Marshal Haig’s management of the Third Ypres offensive. As a national leader Lloyd George's dynamism and self-belief helped maintain public morale in the face of the real perils experienced throughout 1917 and 1918. At the moment of greatest crisis, the 1918 German Spring Offensives, he held faith in ultimate victory. His performance as a war leader and symbolic rallying point anticipated that of Winston Churchill's during 1940. Lloyd George was re-elected as Prime Minister in December 1918 and played a prominent role in the Versailles Peace Settlement. He left office in October 1922 but remained an MP until his death in 1945.